The Golden Milestone was a monument found in the ancient city of Rome. It was important because it was inscribed with the distances to many of the cities in the Roman Empire. We know the monument existed because it was mentioned by Roman historians. We also know it was made of marble and covered in gilt bronze. What we do not know is exactly how large the landmark was or where in Rome it was located. 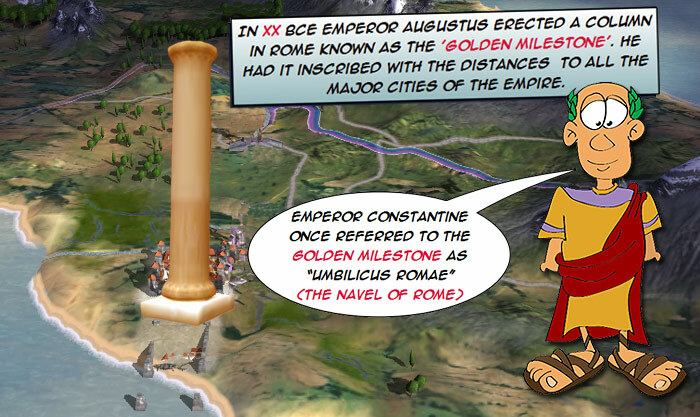 It is possible the phrase “All roads lead to Rome” may have come from the Golden Milestone.